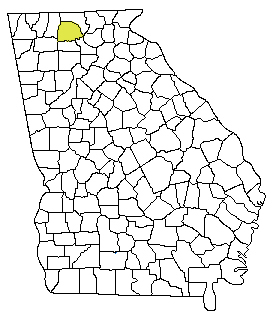 In genealogical research, we discover so frequently that our related families slip back and forth across county lines from generation to generation. Coupled with the fact that county bounderies shift, this makes research challenging! 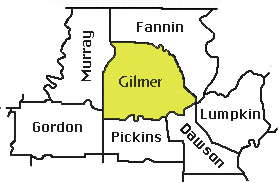 This is the Gilmer County location in relation to the State of Georgia.